Merge art, music and activism together. This weekend. In Hedgesville, West Virginia. It’s the Stop the Kaboom festival. Take Two. Featuring 27 musical acts including jam, rock and bluegrass. All proceeds will go to supporting the Ramps Campaign against mountaintop removal. And Morgan County Frack Ban. 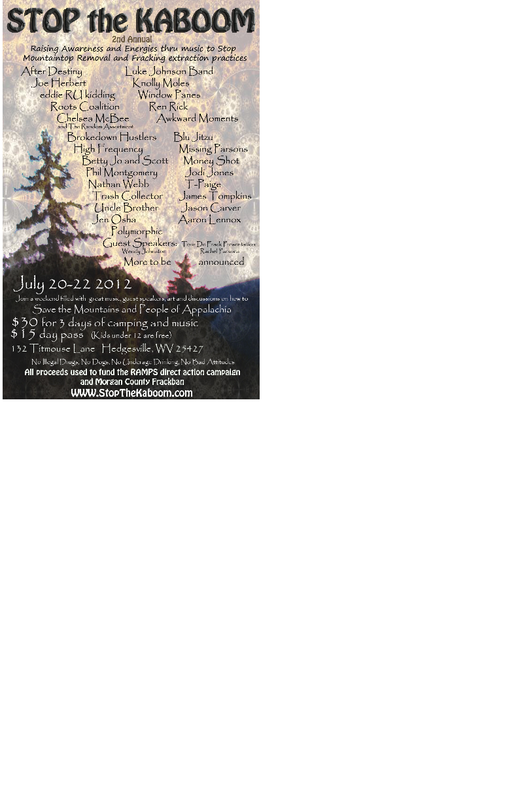 They’ll be guest speakers addressing mountaintop removal and hydraulic fracturing. For more information check out Stop the Kaboom.